The story of this absent work of art will be narrated through a set of six clips, tiny reproductions, that completely fail to convey its most powerful aspect: a gripping draw. Shocking, when we remember that this is a 45-minute long, dialog-free, static-camera one-shot video piece. 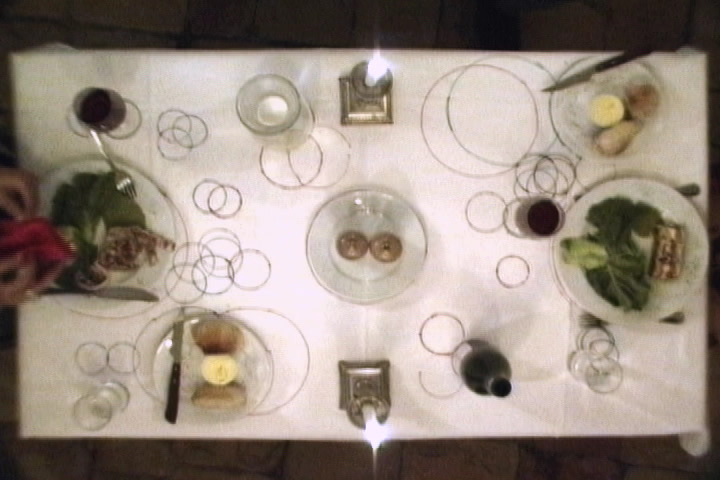 It opens with a perfectly leveled overview frame of a set dinner table, and it stays on this frame for the duration, like in early-cinema films that simply recorded a theatrical play. 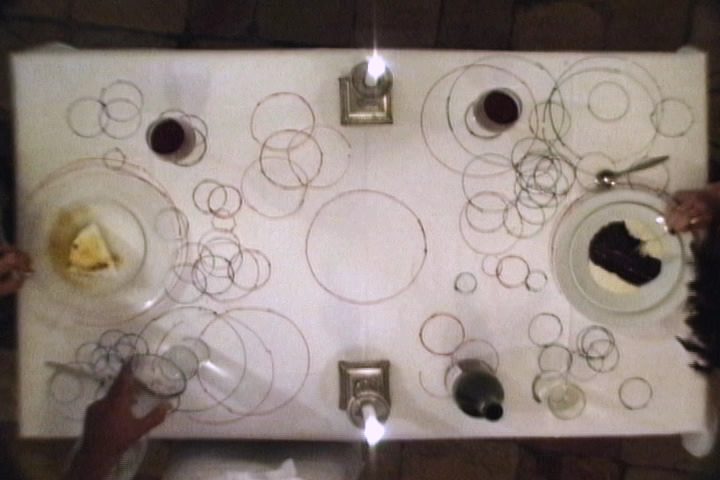 A waiter and two figures, of whom only hands, sleeves’ edges, and hairlines are visible, commence their activities, which lie, in hindsight, somewhere between ritual, performance, and art. This assertion is made extraordinary by the fact that they, and their documented activity, are not. 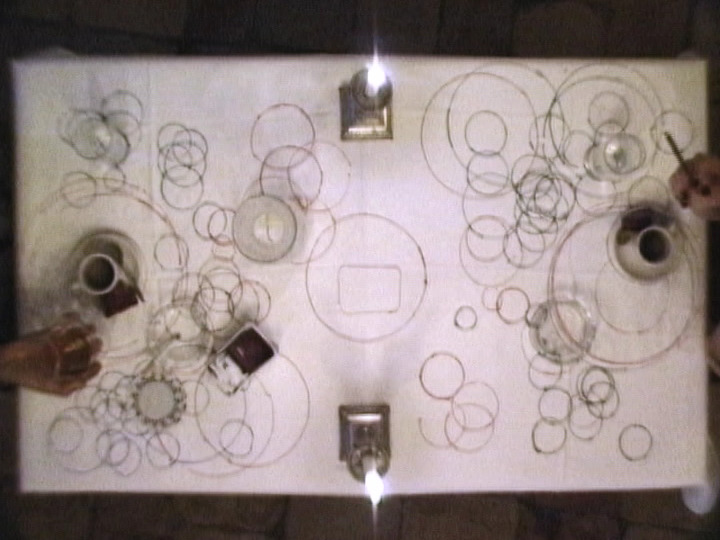 Nothing is monumental or dramatic about this work, and nearly nothing is out of the ordinary: We are simply watching a man and a woman credibly enjoying a meal in real time, just as we would people-watching at a restaurant, only from a different vantage point, and with one added twist: equipped with a personal marker, each participant meticulously records the positions of the dishes he or she moved, by carefully tracing their perimeters on the white tablecloth.